With the popularity of Harry Potter, almost all of us have at least one Harry Potter fan in our lives. I’ve found that it actually makes it easier to shop for for my daughter because I can always find Harry Potter gifts she’ll like. 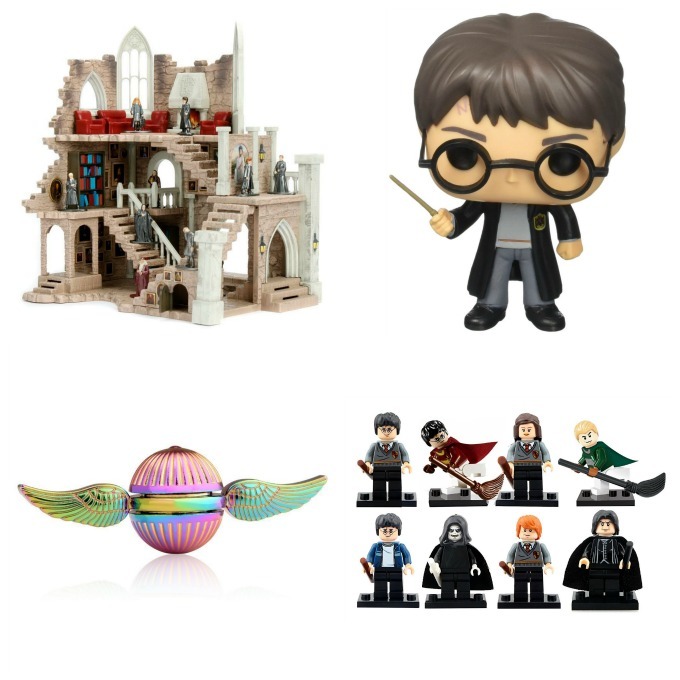 Check out my latest gift guide featuring the best gifts for Harry Potter fans. My 10 year old is all about Harry Potter. Once she picked up the first book, she was totally hooked! She finished all the books in about three months and has since read many of them all over again. 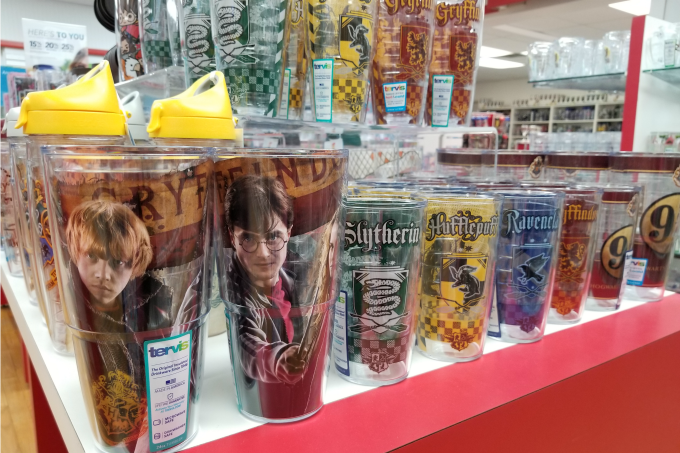 That’s why, when I visited the Tervis store just before her birthday, I got excited when I saw an entire section of Harry Potter tumblers and water bottles. 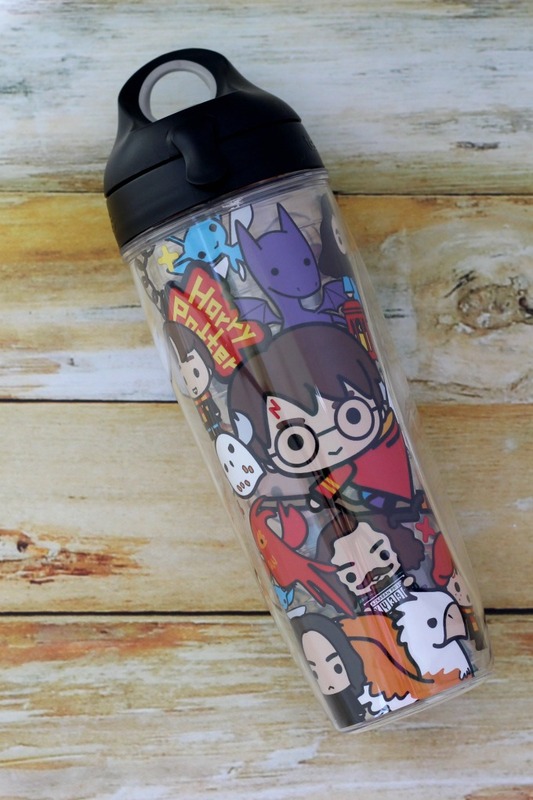 I’m always looking for fun Harry Potter gifts for my oldest. she’s totally obsessed! These would be perfect. I’m not one to get excited about cups unless they’re filled with wine, but I knew Ashling would love these Harry Potter gifts! She loves getting cool new water bottles and would be thrilled to have a Harry Potter water bottle to bring to school with her. I was also able to score some cool tumblers for the rest of the family too…though I’m sure Ashling will be hijacking them at some point. I’d also been thinking about putting together a list of Harry Potter gift ideas and this seemed like the perfect opportunity. 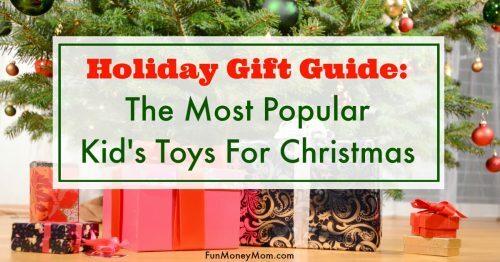 With Christmas coming up, I’ll need some new ideas for stocking stuffers and bigger gifts too. Now that I’ve found so many awesome ideas, the only problem will be narrowing them down! Harry Potter Wand: These wands make the ultimate Harry Potter gifts! Every Harry Potter fan needs their own wand, right? This one even comes in an Ollivander’s wand box! Hogwarts Acceptance Letter: Any wizard wannabe knows that the first step is to get into Hogwarts. 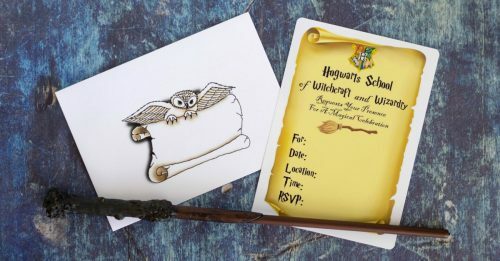 That’s why they’ll need this Hogwarts acceptance letter, complete with envelope, supply list and train ticket. It’s another one of my favorite Harry Potter themed gifts. Hogwarts School Badge Wax Seal Set: Sometimes you get your kids gifts that you really want to play with yourself (or is that just me?). I have to admit, I’d love to try out this wax seal kit…it looks fun! Time Turner Necklace: I think my little Harry Potter fan would love this replica of Hermione’s Time Turner necklace. Maybe we could travel back in time and go to Universal’s Wizarding World Of Harry Potter all over again. Marauders Map: This is one of the best Harry Potter gifts for the fan who has everything! This full size Marauders Map replica is printed on parchment paper and opens to six feet! Just don’t ask me to fold it back up! Magic Wand Notepad: Every good wizard needs a notebook to keep track of spells and this Magic Wand Notepad even has a pen that looks like, you guessed it, a magic wand! Collectible Quidditch Set: I know that Ashling would think this Collectible Quidditch Set tops the list of cool Harry Potter gifts, especially since it comes with a quaffle, two bludgers and a non-removable snitch. Harry Potter Robe, tie and glasses: My daughter got a Harry Potter costume for Halloween and looked adorable. She wore it again when we went to the Wizarding World Of Harry Potter last week. 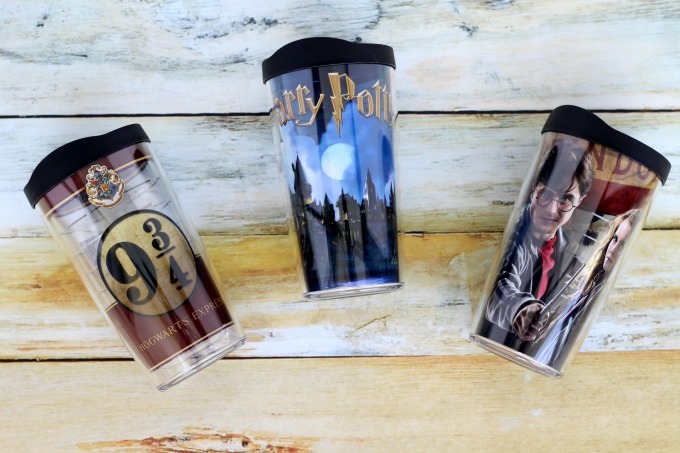 If your fan doesn’t have these yet, they’re the best Harry Potter gifts you can get. Harry Potter Trivial Pursuit: No way am I playing this trivia game with my daughter. I’d never stand a chance! Harry Potter CLUE Game: I might do a little better with this Harry Potter CLUE Game. I think Snape did it in the library with a floating candle. Harry Potter Scene It DVD Game: If I play this Scene It DVD Game with my daughter, I’d let her win…or at least, that would be my story (and I’m sticking to it). Harry Potter Chess Set: First I’d have to teach my daughter to play chess before I could buy this gift. Hmm…sounds like a job for daddy! 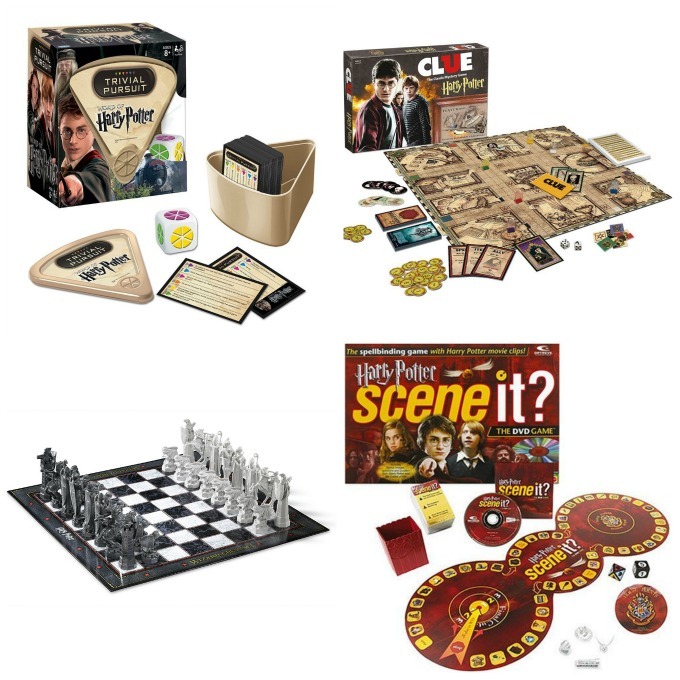 These are all great Harry Potter gift ideas , especially for kids that love games. 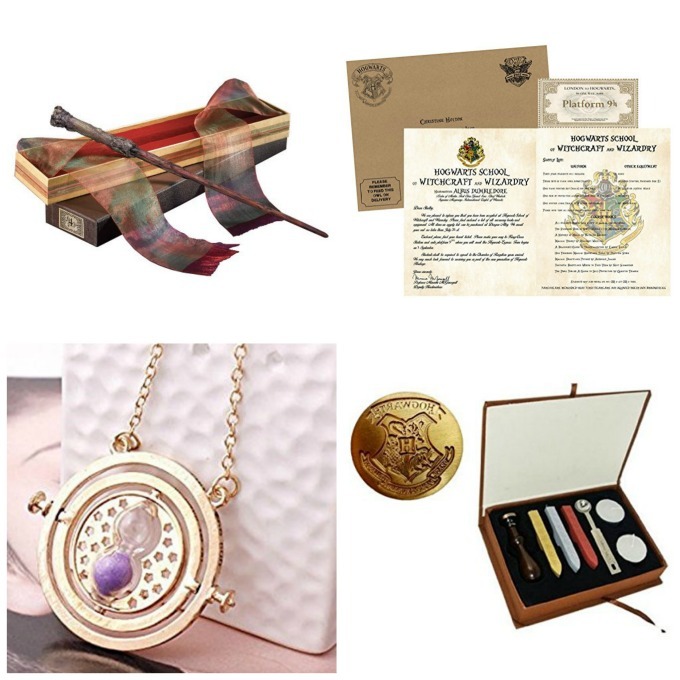 If you need Harry Potter gifts for younger fans, you may want to check these out. I think my five year old would love playing with these. I’m not sure if she’s really a Harry Potter fan or just wants to be like her big sister…maybe both! Bertie Botts Every Flavour Beans: Who’s not just a little curious about how these really taste? I know I’d like to give them a try. Harry Potter Chocolate Frog: Somehow I managed to have a daughter that doesn’t like chocolate but these Harry Potter Chocolate Frogs are perfect for those of us that do. Harry Potter Pumpkin Juice: We ordered the Butterbeer. Maybe now it’s time to give the Pumpkin Juice a try. 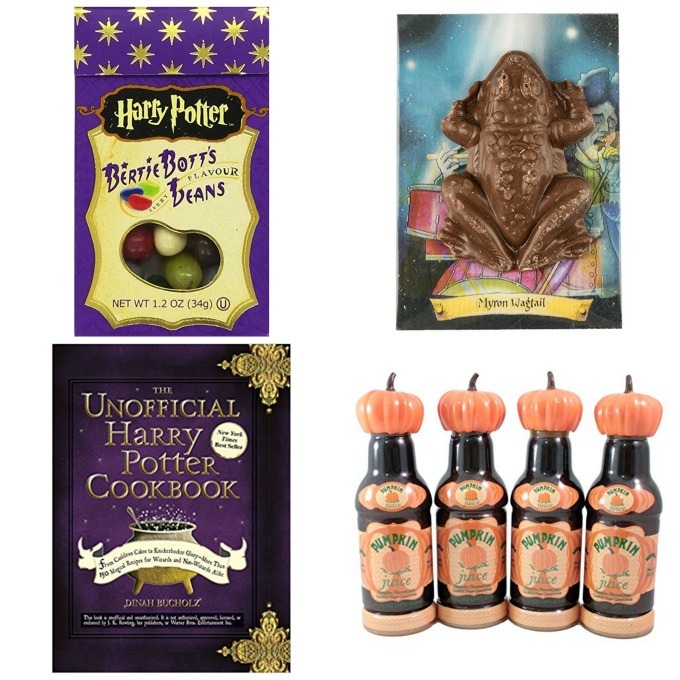 Harry Potter Cookbook: Since my daughter already loves to cook, this cookbook may just end up under our Christmas tree. 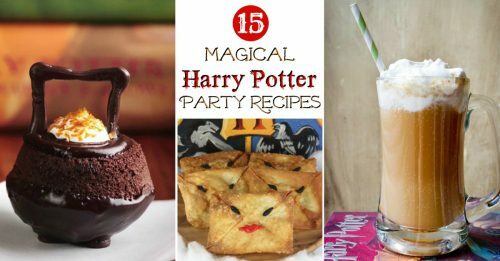 It’s filled with Harry Potter recipes from the books, like Treacle Tarts, Molly’s Meat Pies and more. 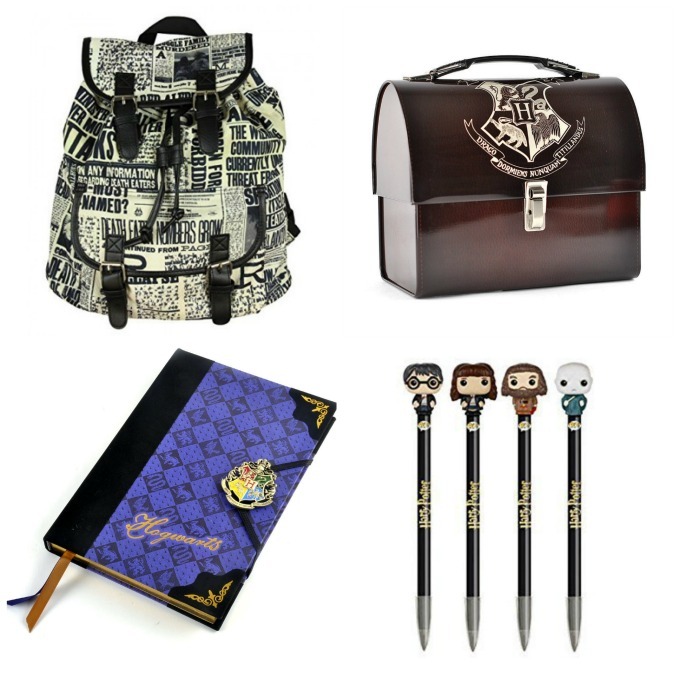 Daily Profit Newspaper Backpack: So far our bookbag is holding up this year but if it gives us any trouble, this one would be a perfect replacement gift for Harry Potter fans. Harry Potter Lunch Box: What kid wouldn’t want to bring this lunch box to school (especially if you throw in some of those Bertie Botts Every Flavour Beans). Harry Potter Character Pen Toppers: These pen toppers may just make writing essays a little more fun. For years I’ve been decorating the girls’ walls with giant wall decals. 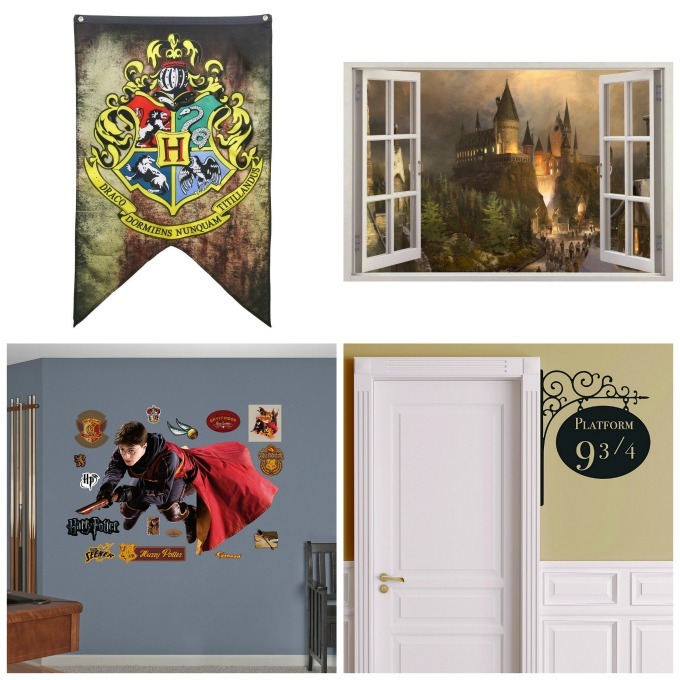 They make it so easy to decorate with a specific theme in mind and are perfect for kids that want a Harry Potter bedroom. Hogwarts Wall Banner: While it isn’t actually a decal, I liked this so much that I thought I’d throw it in. It’d be a great addition to any Harry Potter room. Hogwarts Castle Wall Decal: I love that you can stick this decal on the wall and it gives you a perfect view of the famous wizarding school. Platform 9 3/4 Door Decal: This simple door decal doesn’t take up much room but it adds a nice touch and would look great combined with the rest of these Harry Potter gifts. Quidditch Seeker Wall Decals: These are another great addition to any Harry Potter bedroom. Hogwarts Twin Comforter with Pillow Shams: If you’re creating a Harry Potter bedroom, the bedding is one of the most important things you can add. 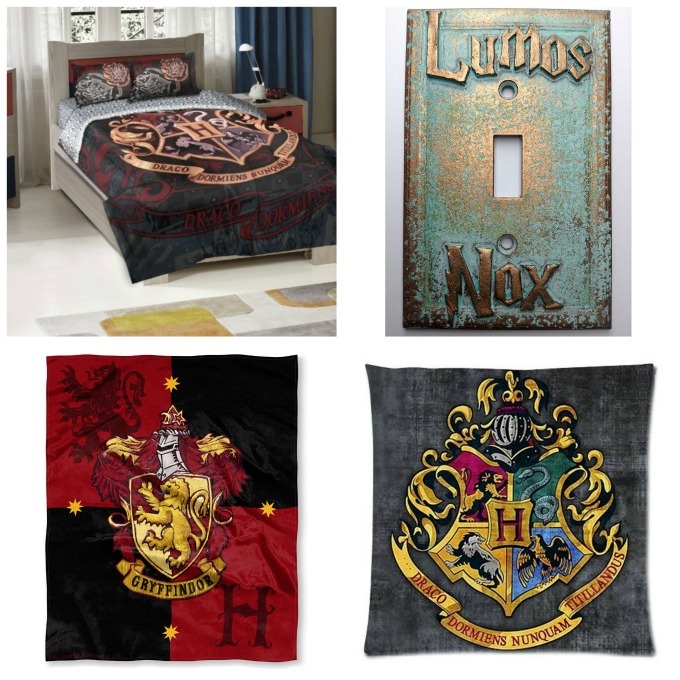 This comforter would look great in any Harry Potter room. Harry Potter Light Switch Cover: These make cool Harry Potter gifts. Sometimes the smallest details can add a nice touch and this light switch is perfect. Throw Pillow Case Covers With School Signs: Perfect for the bed or for setting up a reading area in the corner, these pillow case covers make great Harry Potter themed gifts. Harry Potter House Crests Throws: These cool Harry Potter gifts come in each of the four house crests so you can choose the one that your child most identifies with. 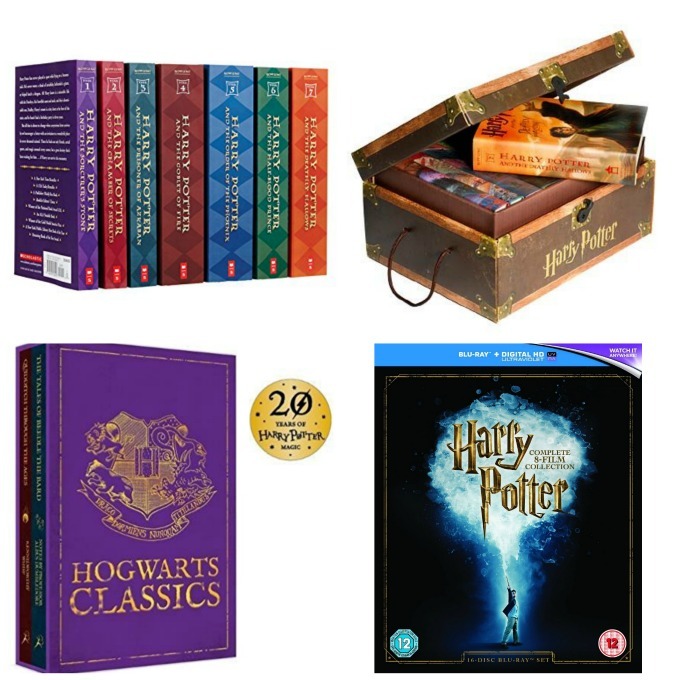 Your Harry Potter fan may already own all the books and movies but if not, they should be the number one Harry Potter gifts on the list. 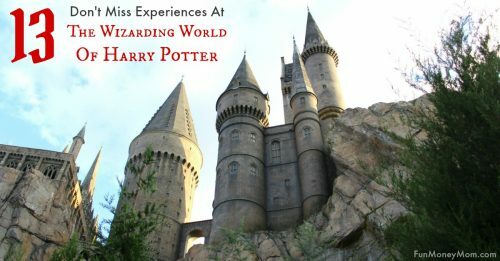 If you really want to splurge, one of the best Harry Potter gifts ever, take a trip to the Wizarding World Of Harry Potter at Universal Orlando Resort (check out Undercover Tourist for discount tickets). 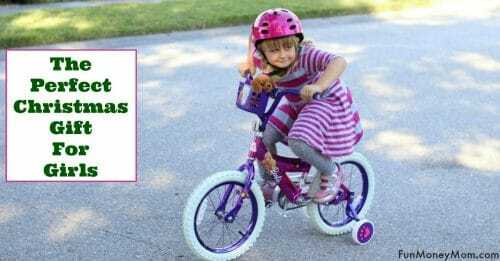 We took Ashling for her birthday and it was amazing! From the rides to walking through Diagon Alley, we felt like we’d stepped into a Harry Potter book. 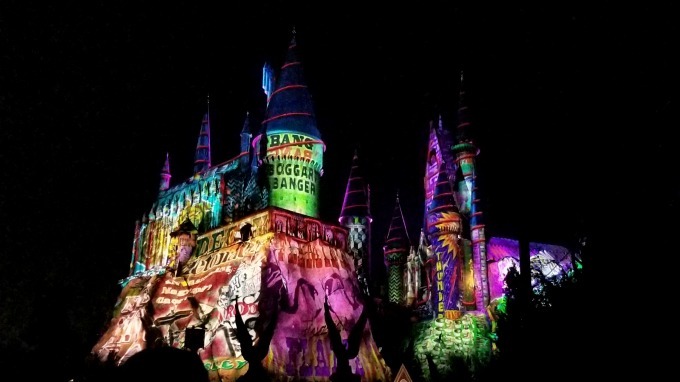 The best part was that since we were visiting during Christmas season, we saw the new light show at Hogwarts castle. The trip was worth it for that alone! 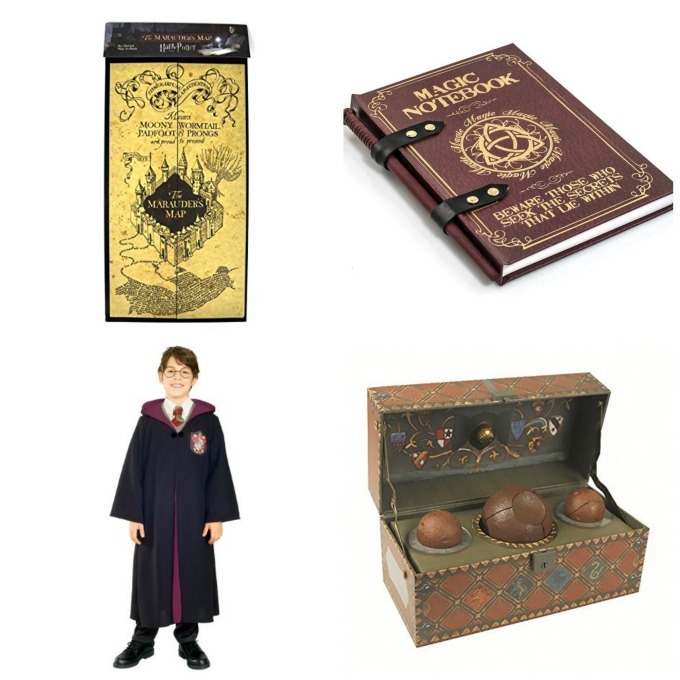 What Harry Potter gifts are you giving your Harry Potter fan this year?